Seems this deer didn't know what hit it! This polyester trophy head costume has an opening in the back to allow the wear's face to go though under the head. The head of the brown dear is a soft foam that has sewn on ears, eyes, and antlers (the fabric antlers may not stay up the whole time). 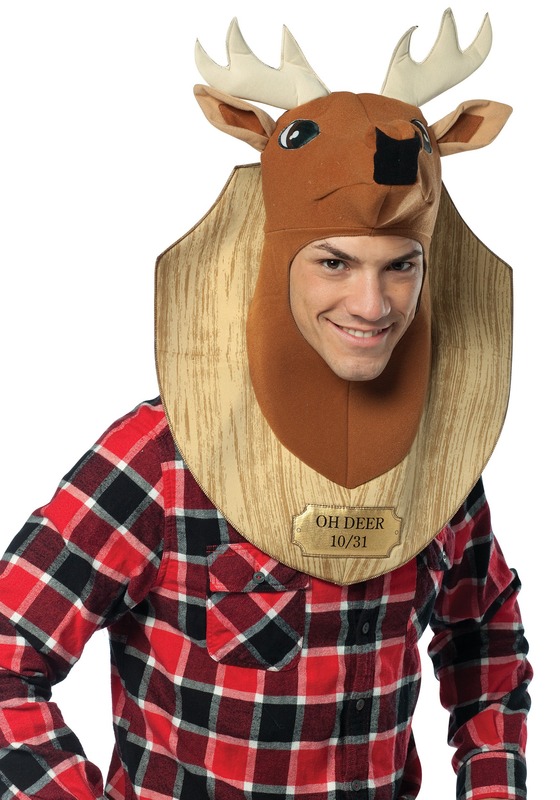 The "wooden plaque" is made of foam and has "Oh Deer 10/31" printed on it. Check out our whole line of trophy head costumes!